Whenever there is a mass gathering (or migration) of people, the thoughts of public health officials inevitably turn to the prospect of having to deal with, and hopefully contain, outbreaks of disease. With the upcoming Summer Olympics in London this year, it is not surprising that the The Lancet has devoted considerable space to a six-part series covering many of the public health issues that come with managing mass gatherings. Concerns go well beyond infectious diseases like measles, influenza, and norovirus, and also involve terrorist attacks, crushing injuries from unruly crowds, food borne illnesses, and sanitation. These articles are (unfortunately) behind a pay wall, but summaries are available (free registration req. ), as is a short audio presentation where John McConnell discusses the background to the series. A six-part series describes the scope of the emerging specialty of mass-gatherings health. Mass gatherings are events such as religious occasions, music festivals, or sports events that attract enough people to exceed the capacity of routine health and public safety measures. Managing such events requires providing for all eventualities from infectious disease outbreaks to security against terrorist attacks. Thus mass gatherings health is a topic that goes beyond the scope of typical public health provision. This issue pops up nearly every year, and with good reason. Epidemiologists remember well the lessons of 1918, where it was demonstrated that influenza epidemics can surge in the wake of large gatherings. During the fall wave of the Spanish Flu most cities instituted strict public health ordinances; they closed schools, movie houses, pool rooms, restaurants . . even churches. Those cities that took these measures generally saw much lower levels of death and illness. 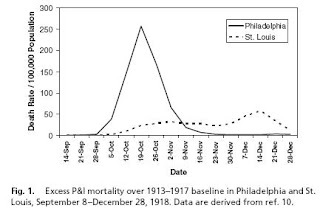 But Philadelphia went ahead with a massive Liberty Loan parade on September 28th of that year, apparently heartened by the low number of flu cases reported in Pennsylvania to that point. 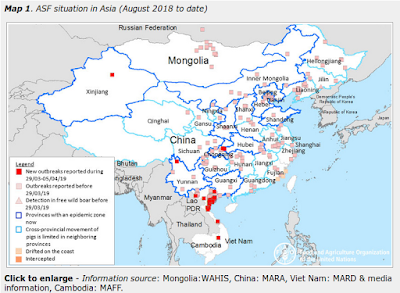 So it is little wonder that we saw some amount of angst during the lead up to the 2010 World Cup games over the concern that it might enhance the spread of the 2009 H1N1 pandemic virus (see Russia Urges Sports Fans Not To Travel To World Cup Game). Each year there are multiple mass gatherings which could conceivably facilitate disease transmission; including the Super bowl, Mardi Gras, and Carnival in Rio, and the Hajj. But the granddaddy of all human migrations takes place each winter across Asia, with the celebration of the Lunar New Year. It is expected that more than 2 billion passenger journeys – mostly by crowded train –will be made in China alone over this six week period. This year, the lunar New Year will fall on January 23rd, but the festivities span several weeks. In many Asian cultures it is a long held tradition that people return home to attend a reunion dinner with their families on the eve of the lunar New Year. They stay a few days, then return to the cities from whence they came. All of which provides opportunities pathogens to hitch rides to remote areas of the world where they may not have arrived yet, and for viruses to be carried from rural areas back to the cities. Due to the potential for disease transmission (including mosquito borne illnesses, food poisoning, flu, etc.) during this very busy holiday period, the CDC posts some travel advice each year to those planning a trip to Asia. Good Luck. Good Health. Good Cheer. Happy Lunar New Year! Still, public health authorities must anticipate and prepare for the worst, even though it probably won’t occur. This is hardly wasted energy. After all, we’ll never know the number of outbreaks that have been prevented by proactive measures over the years.